The film opens in Oslo on August 30th. Through a morning mist of images and narration we are introduced to Anders, a shy, genial intellectual in his thirties, walking through a forest and filling his pockets with rocks before trying to sink into a river. Today he’s on leave from rehab clinic, on his way to a job interview at a literary journal. He spends the day puttering about the city of his misspent youth, absorbing the vibrant liveliness that he can only relate to fitfully and, even then, only through memories tinged with painful nostalgia and regret. He makes contact with old friends, especially former drinking-buddy and intellectual sparring mate Thomas, who feels guilty about the ease with which he's settled into middle-class family life. Anders views himself as a failure. He isn’t pissed about it, but he seems at times on the verge of tears. He has survived years of addiction and recovery and there are still, theoretically, a few bridges he hasn’t burned, but the idea of reintegrating into life and starting over again is more than he can bear. He sabotages the actually rather plum job opportunity he is on the verge of landing in favor of remaining adrift. At times he seems mildly cheered by the freedom of his resignation. Towards dark he falls into a familiar pattern: he finds a nightclub, has some drinks, meets a girl. They dance, drive a motorcycle through the night blooming fire-extinguisher clouds behind them and go skinny-dipping at a closed park pool in the early dawn. It’s nice to see Anders smiling and there’s a flash of hope in the girl’s smile back, but for Anders this is only a bittersweet no-hard-feelings last wave to Oslo. He isn’t looking for a chance to begin again. I was planning to write about a frosty established classic like Nine Lives (1957), Zero Kelvin (1995) or the brilliantly-ahead-of-its-time 1959 romantic thriller The Chasers (one of the great unsong Nordic films). And then I thought about trying to defend the too-eccentric-for-any-but-Scandinavians-to-adore claymation adventure Pinchcliffe Grand Prix, in which an inventor, a hedgehog and a magpie enter a Formula One racing grudge match. 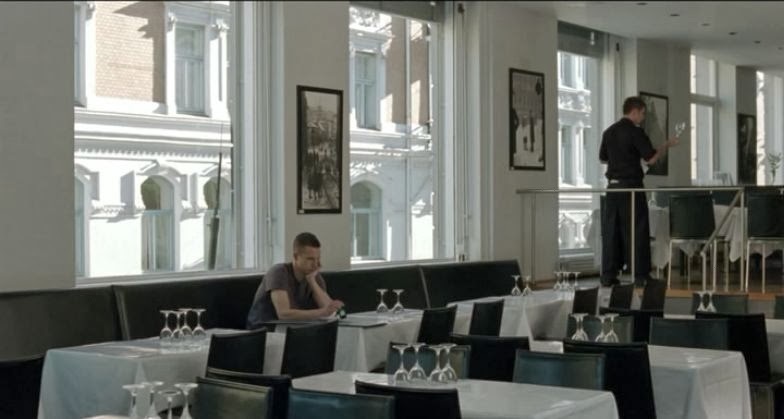 But in the year or so since I’ve seen Oslo August 31st, it has persistently swirled about inside my mind. I hate to resort to a cliché like ‘achingly beautiful’, but this film is what the phrase was born to describe. Oslo August 31st is a sumptuous, note-perfect mood piece whose quietly stirring images, delicately fluid tracking shots and closely-observed dialog put you through the emotional wringer. Sophomore director Joachim Trier makes every scene count, but gives his lead room to breathe. There’s a moment where Anders just sits back and listens to the sounds of traffic and conversations around him that is deeper and more arresting than many a famous monologue. There's a montage of the city as Anders reflects on his parent's influence on him that is so full of love, yet suffused with sadness. There’s a lengthy painfully-realistic conversation between two friends who still care for each other, but can’t really help each other, that broke my heart. 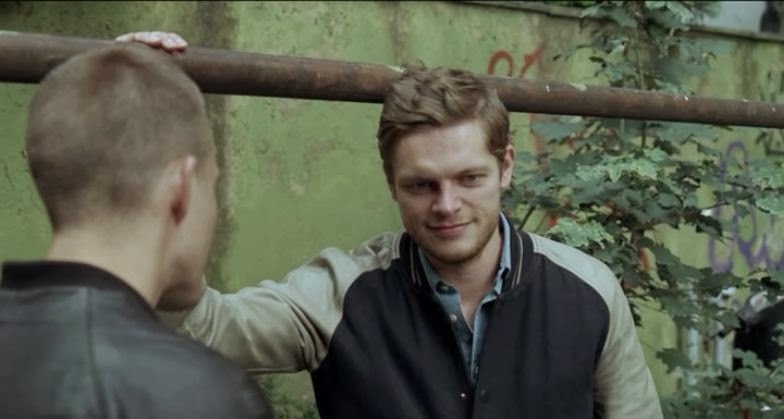 Anders Danielsen Lie (playing Anders) puts his whole soul into the performance and it shows and at times it hurts. His malaise, disillusionment and despair are only the tail end of a short, full, well-examined life marked (and scarred) by heights and depths etched into his expressions but already dropping off the edge of memory. It’s the human condition distilled to 95 minutes. This is also that rare remake that exceeds the original, but to say the title of the original would be to say too much.